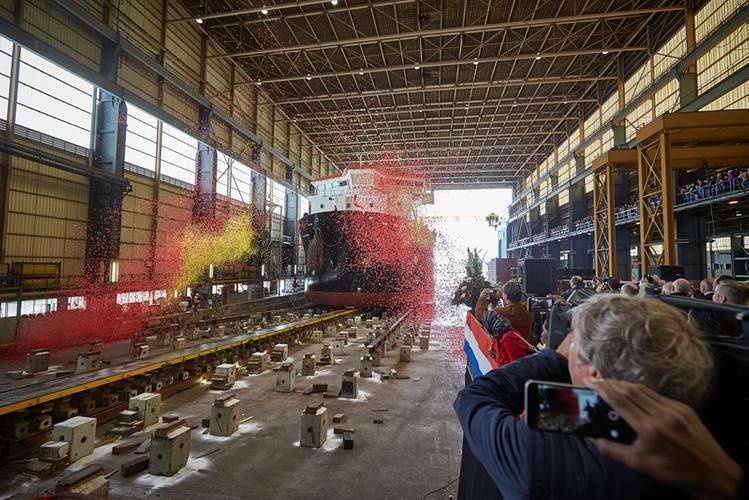 The naming and launch ceremony of the 5,500m³ trailing suction hopper dredger (TSHD) ILEMBE took place on Saturday, May 9, 2015 at Royal IHC’s shipyard in Kinderdijk, The Netherlands. The dredger is being built for Transnet National Ports Authority (TNPA), the national port authority of South Africa. The ceremony was performed by Lunga Ngcobo, General Manager Corporate Affairs at TNPA. 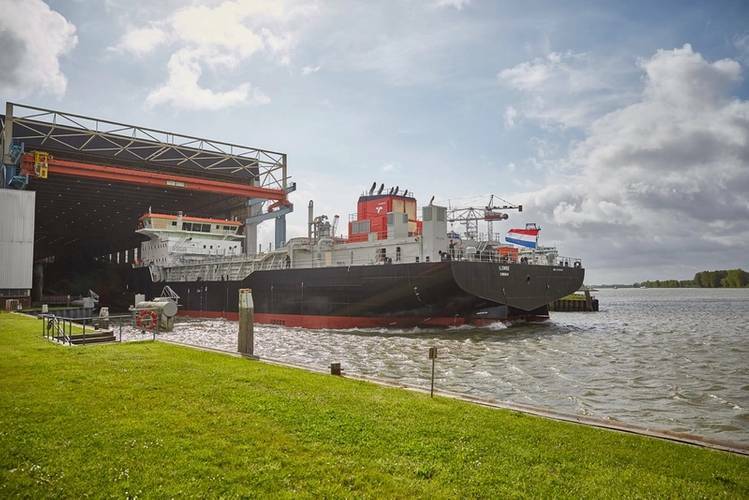 The new TSHD will join TNPA’s existing fleet of IHC-built vessels, which includes the 4,200m3 TSHD ISANDLWANA (delivered in 2010) and the grab hopper dredger ITALENI (delivered in 2014). The new dredger will be deployed to work mainly in the international seaports of South Africa, but may also be deployed elsewhere on the continent. As one of the five operating divisions of Transnet SOC Ltd., TNPA is responsible for the safe, effective and efficient economic functioning of the South African national port system. It manages eight commercial ports along the country’s 2,954km coastline in a ‘landlord’ capacity, with two main service categories: the provision of port infrastructure; and the provision of maritime services such as dredging and marine operations. As part of the contract with TNPA, IHC will execute a supplier development (SD) plan in order to help improve local industry in South Africa. The primary activity within the SD plan is the development of a school for dredging operators – which includes the delivery of a dredging simulator – where IHC together with TNPA’s maritime school of excellence will setup a long-standing cooperation for the training of local people.